What do President Bush, Reggie Jackson, Dolly Parton and Steven Spielberg have in common? They are all baby boomers set to turn 60 this year — part of a huge trend you might call "the graying of America." And a census report released Thursday confirms it, reports CBS News correspondent Trish Regan. The government report shows that fewer than one in five men 65 and older were part of the labor force in 2003. In 1950, nearly half the men that age were still working. "Not too long ago, people, particularly men, worked until they were physically unable to work," said Robert Friedland, director of the Center on an Aging Society at Georgetown University. "Now, people have a period of time to which they are looking forward." But they can only look forward to retirement if they are financially prepared, said Friedland, who noted that $1 million in a retirement account isn't that much to live on if you expect be around another 20 or 30 years. "If you leave the labor force thinking you have plenty and then realize that you don't, then you are stuck," Friedland added. 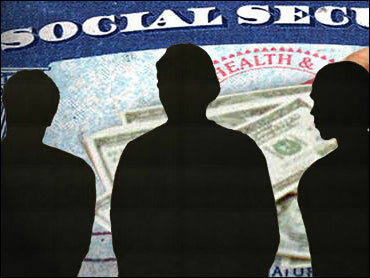 The findings are part of a report thick with statistics on America's elderly, called "65+ in the United States: 2005." It was commissioned by the National Institute on Aging and compiled by the Census Bureau. The findings have added importance as the first baby boomers near retirement age. The oldest baby boomers turn 60 this year, and the new report suggests that many of them already have left the labor force. "The current older population is healthier, wealthier and living longer than ever before," Victoria Velkoff, author of the U.S. census study, told Regan. Velkoff added that the changing demographics will drive everything from business trends to public policy. "We're going to have to think about how pay for Social Security and Medicare and who's going to take care of this older population," she said. "The aging of our society will have profound consequences for our future, and in fact it is not a very distant future," agreed Census Bureau Director Louis Kincannon. There are about 35 million Americans age 65 and over — a number that is projected to more than double by 2030, according to the report. About 59 percent of seniors are women. The report attributes the declining work rate among older Americans to the growth in private pensions, Social Security and Medicare benefits. As benefits for older Americans grew in the last half of the 20th Century, fewer saw the need to work beyond age 65, said Mitra Toossi, an economist at the Bureau of Labor Statistics. Improved benefits played a bigger role in retirement plans than the fact that workers were living longer, Toossi said. But the biggest benefit programs face problems. Private pension systems have been defaulting at an alarming rate. Many companies are abandoning pension plans that guarantee benefits based on years of service and age at retirement. Medicare, which just added a prescription drug benefit, faces insolvency in 2020, according to the trust fund that runs it, and Social Security, if left alone, is projected to go broke in 2041. "This report tells us that we have made a lot of progress in improving the health and well-being of older Americans, but there is much left to do," NIA Director Richard Hodes said in a statement. Among men 65 and older, the percentage still in the labor force bottomed out in the 1980s and has increased slightly since then. The Bureau of Labor Statistics expects the percentage to increase only slightly in the future, never again reaching the levels of 50 years ago. Americans, meanwhile, are living longer. Life expectancy for men was 74.1 years in 2000, up from 68.2 years in 1950. Among women, life expectancy was 79.5 years in 2000, up from 71.1 in 1950.